If you are having internet issues such as frequent drop-outs or perhaps your phone has a background noise please read on. If you are unsure what to look for, the first step is to check if your phone/device is plugged directly into the phone socket. If it is chances are you need a filter. The only device that does not require a filter is your Broadband modem. *** The other type of filter is a central filter. This filter is installed at the first phone point and removes the need for any further filters. If you’re wiring is old or long then having a central filter installed will help with your stability and speed so is something I recommend getting done. If you are thinking of Getting VDSL, part of the install will involve installing a central filter, this is done to ensure you get the best possible speed and stability. The install is done by Chorus on behalf of your Internet provider. 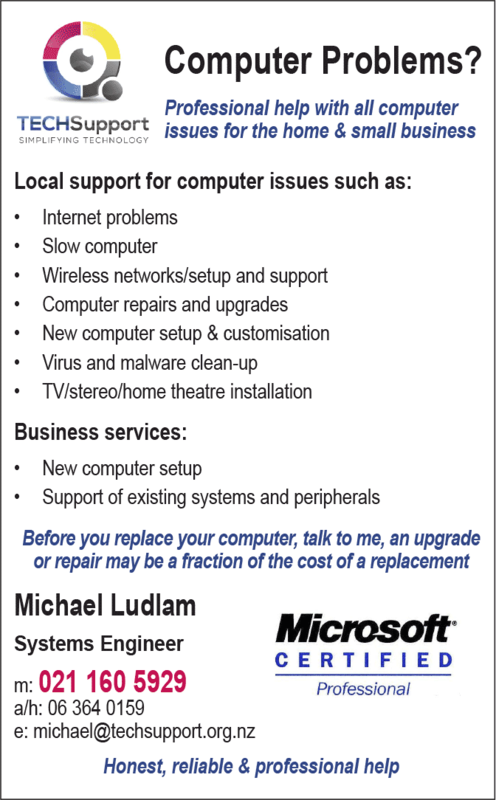 If you are in doubt talk to your internet provide or your local PC Support person.